Lymphedema is a painful condition that affects millions of people world-wide. It is caused when the lymph vessels are unable to transport fluid back into circulation, resulting in a buildup of protein rich fluid, which causes swelling and thickening of the skin. Rice County District Hospital provides quality treatment for patients experiencing lymphedema. Certified Lymphedema Therapist, Vicki Johnston, is specifically trained in Complete Decongestive Therapy through the Norton School of Lymphatics. “There are two types of lymphedema that may affect our patients: Primary and Secondary,” Johnston explained. Primary Lymphedema is rare and is caused by malformations of the lymphatic system. Primary is most common in women and is hereditary. It may be present at birth or can develop later, often during puberty or pregnancy. This type most commonly affects the legs, but patients may also have symptoms in their arms or torso. Secondary Lymphedema is far more common and is the result of damage to the lymphatic system. The most common causes of Secondary Lymphedema are surgeries, post-mastectomies, or lumpectomies with radiation and removal of lymph nodes. It occurs most frequently in the arms but may also develop in the legs. Lymphedema cannot be cured and requires on-going treatment and maintenance. Fortunately, Rice County District Hospital can offer caring and skilled care locally. In phase one of treatment Johnston focuses on moving of lymph fluid out of the affected region and reducing swelling. Phase two can begin once the swelling is reduced. This phase focuses on educating patients to manage their lymphedema. Johnston demonstrates therapeutic exercises patients can do at home, and teaches them how to utilize graduated compression garments for long-term management. Patients may transition between phase one and phase two as needed to maintain their best personal outcomes. 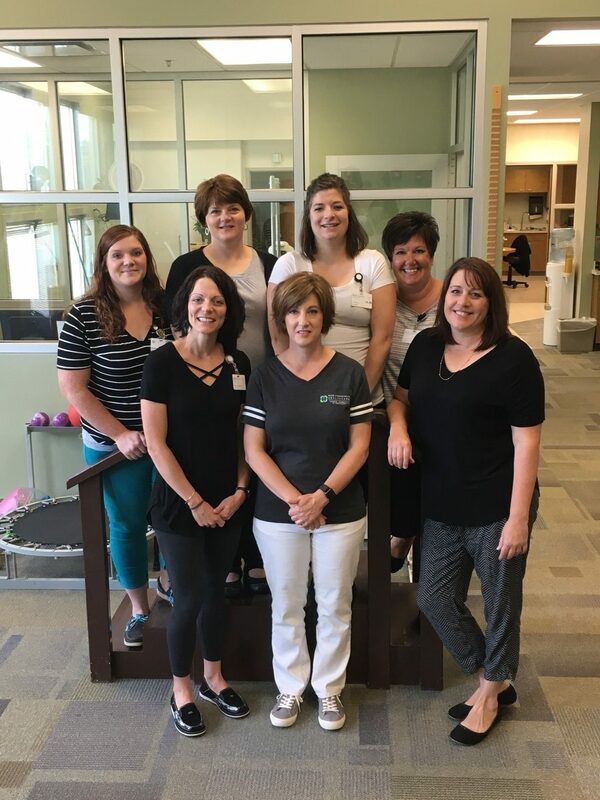 If you have questions regarding lymphedema or would like to schedule an appointment to visit with Vicki Johnston or any of the Rice County District Hospital’s Rehabilitation Services team, you can call 620-257-5173.